If you wanted to know whether you could get solar panels installed for free, then the answer to that question is ‘yes’. Of course, you’d think a hundred times before opting for such a scheme and carry out some research in the process, right? Just to prevent the eventuality that this might turn out to be another Ponzi scheme. But in the case of companies installing these solar panels for free, there is no such dubious intention involved, as the terms of the power-purchase agreement is simple: you allow companies like SunRun and SolarCity to install and maintain the panels on your roof for free, and they will collect government subsidies. Yes, it’s a win-win situation for both, and which is why it looks to be a good deal, right from the outset. But in the case where you install your own panels, the ‘profit’ will all be yours to enjoy. But what about reduction in costs when it comes to utility bills? Being one good reason why you should consider getting solar power, the initial savings amount to at least 10 % of your utility bill – for the cost of zero. But that’s not all – since the rate of increase on your utility bills tend to increase at a higher rate than the rate of increase by these companies, the savings amount to almost 50 % in a matter of a few years. However, while you do have this option, there’s nothing better than installing your own solar panels, if you have the money, of course. If you don’t, there’s always the option of having companies getting them installed and maintained for you. With the apparent benefits of solar power being a much-discussed subject today, most people think that it is a viable investment to use solar power. With the disaster in the Massey coal mine, the Deepwater Horizon oil rig and the emission of nuclear radiation in Japan making the headlines it isn’t easy to see why solar power is fast becoming the preferred choice of the lot. Should we install solar panels, or is it wise to review the benefits and drawbacks of this energy source first? Of course, in being realistic about solar power, it’s wiser to acknowledge that there are both benefits and drawbacks, and understand them before making a choice. Without a doubt, solar power is not only much safer to produce compared to other sources of energy but is also clean in terms of the environment. This benefit, as most people will agree, counts for a lot. Secondly, when you install solar panels, your use of grip power reduces, and thus, a return on investment is likely in a few years because of the reduced costs when it comes to energy bills. Thirdly, since the sun comes out every morning in almost military fashion, you can expect the amount of electricity produced to be reliable. In fact, some manufacturers will provide an estimate of power that will be produced and will refund the balance amount if the panels don’t meet those standards. While the solar energy produced for a year is accurate estimated, the same can’t be said on a weekly or monthly basis. Sadly, your solar panels will never produce electricity at night. However, there are ways to resolve this. Without a doubt, solar panels are expensive to install, and without any assistance from the government, it’s unlikely that people will be able to afford them. For these solar panels to work, they need a lot of exposure to the sun, and some houses haven’t been designed to suit the needs of going green. In short, if your roof doesn’t have southern exposure, then it’s going to be impossible to install solar panels. Solar Installations are an investment for the future. It isn’t cheap by any means, and there are several things that one must take into consideration before going in for renewable energy. If there’s anything that’s true about solar energy, it is the fact that it is expensive – at least, at first. So, make it a habit to reduce energy consumption as much as possible because this habit of efficiency will have obvious (and positive) consequences to your electricity bill. One of the biggest reasons why people tend to spend more money on energy costs is because of not insulating their homes properly. Again, getting your home properly insulated by a professional will ensure that you save energy consumption. Find out how you are being charged, and based on that knowledge, you can work out a few guidelines as to how you can be more efficient when spending energy. The benefit: reduced costs if you understand how it works. Two questions that will get you a rebate most often is whether the roof gets full sun during the hours of 9 AM to 3 PM, and also if the roof allow for a solar installation facing the south. There’s no doubt that it’s going to cost you a bit to get a solar installation. So, don’t get yourself into further debt but instead go for a solar installation when you’re “in the green”. Imagine even one day without the sun in our lives, and the heat and light that it imparts with us. In fact, our body depends on this day-night cycle to even out carry basic functions such as sleeping, waking up and so on and so forth. Fact #1: Obtaining solar energy doesn’t just happen through solar panel but through hydro power, biomass and wind. Winds are created by the rise and fall in temperature while the sun creates rainfall by evaporation for hydropower. Fact #2: Solar energy, for the amount that is tapped, is used for numerous purposes such as lighting, cooking, driving space craft, communications and even heating and cooling. Fact #3: Fossil fuels are actually forms of stored solar energy. Yes, we’re talking about coal, gas and oil from plants that grew with the help of sunlight. Fact #4: Fossil fuels cause global warming and pollution. Solar energy, on the other hand, is not only renewable but is considered ‘clean energy’. Fact #5: No matter where you are on the planet, a stand-alone solar device should work just as well. As for other sources of energy, the need for grid infrastructure in order to supply power to these areas can turn out to be expensive. Meeting energy needs is a growing problem that every country faces today. Fossil fuels have been our mainstay for some time now but due to depleting resources and the adverse impact it has on the environment, the search for cleaner and a renewable energy source is on. One of these sources is solar power, and according to reports, this form of energy can not only counter the rising prices of their utility bills but also contribute to their savings as well. Yet is this all just hype or is investing in solar energy an excellent proposition? #1: Is Solar Energy right for my home? Several factors go into making solar energy right for your home. Firstly, a good south-facing roof is required for maximum sun. Also, before installation, the structural integrity of the roof, the material it is made of and the shading on your roof will be taken care of. In taking all these factors into consideration, it’s only then will you find out whether solar energy is right for your home or not. #2: How much does solar energy cost me? Barring state incentives, each watt of solar electricity costs about $ 10 to $ 12. While an effective solar power system could cost about $ 20000, it’s also important to know how much power you would normally use every month. Based on those figures, you can install a decent solar power system if you have the money to spend. #3: How long will a home solar power system last for? 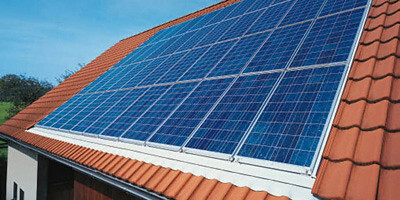 Almost any home solar power system that you will find lasts anywhere between 25 to 35 years. The reason for this is because there aren’t any moving parts. However, regular maintenance is the key to using it for a long time. Also, the inverter generally needs to be replaced every 10 years. #4: How much sun and roof space do I need? Firstly, it doesn’t matter where you live in the country but what does is the fact that your roof faces the south, east or west as this means maximum exposure to the sun. As for the amount of roof space required, every kilowatt (kW) requires at least 100 square feet of space. Most home solar power system range from 3 kW to 6 kW and so, when you do the math, it amounts to about 300 to 600 square feet. #5: What about insurance to protect my investment? If you’ve insured your home, then as soon as you add these solar panels to your home, the company will have to insure them just like the rest of your household items. #6: Do I need a new roof? It is not mandatory to replace your roof, but it is highly recommended to have it repaired. The solar system is supposed to last for at least a couple of decades, so your roof should be in the same situation. If it is older than fifteen, make sure you perform all the reparations it might need. #7: Should I try a ground mounted system? A ground mounted system is useful when the roof cannot handle it. You should also have some extra room on your property. There are also people who go directly with this option, only to avoid the harsh inaccessibility to their roofs. #8: Is the homeowners association able to stop my project? It is free to try, but it is not legal in most of the states. According to the laws, you cannot be stopped. However, the association may ask for some changes. If the design is not appropriate, you might end up with some requests to change it, but only if these changes will not affect your production with more than 10% of $2,000. #9: What happens during the night? During the night, the electricity production is obviously ceased. However, as soon as the sun is up, your system will restart the production. The mornings are not too profitable from an electric point of view. You may, however, use an espresso machine, a toaster or a hair dryer. You spend the electricity as you produce it and only if you wake up really early. Normally, you will have enough for basic needs. #10: How often do I need to clean the panels? The panels don’t require too much maintenance, unless you end up with some extreme cases. For instance, a nearby forest fire might cause some problems. Otherwise, there is nothing to worry about. After years of usage, you might observe a slight decrease in the production. That is when you need to clean them. #11: What happens during extreme weather conditions? Rains will not affect the production. A cloudy day might reduce your production with up to 70%. You will still have enough. The same happens when it snows. However, a snowstorm might be more problematic, but the snow on your panels will be the first to melt due to the position, so your production will be back on track in no time. #12: How does the system work? Every month, you must pay for the electricity you use to your utility. The prices grow on a regular basis. With a solar system, you can forget about these rates. You control how much you pay, as you are always protected against the extra charges. #13: How much can I save? During the first months, you savings will be modest and not very relevant. As time goes by, they will increase. At some point, your incoming bills will be almost null. The system is profitable in the long term and not just after a couple of months. #14: What happens after I register? The installation will be done in a few days, depending on the request. You will be allowed to turn on the system after one to two weeks. There are multiple factors to consider in the process. #15: How do I pay for the electricity I use? Right now, you get monthly bills from your utility. These bills will still show up, but they will be a lot smaller. #16: What if I move to a new house? The contracts are easy to transfer. Most homeowners also choose to sell the system, which is actually a solid upgrade to the home. There are no problems in transferring the contract to the new homeowner. #17: What happens to my utility after I get this system? Nothing happens. You will still be connected. When you produce more energy, you will earn some credits. When you end up in a cloudy day, you will use those credits. #18: Can I improve my system later and add more panels? It is possible, although this is a complicated process. You will also need an inverter. The solar panels and the inverter come in a mini system. The process is complicated because the panels go together like a puzzle, but it can be done. #19: What happens when the power goes out? #20: Who installs my system once I sign up? Once you get the confirmation, a team of professionals will come to your place and perform the installation. These individuals have the proper experience and knowledge to perform high quality work.